T-2 toxin is metabolized after ingestion. CU-T12-9 is a potent TLR1/2 agonist (EC50 = 52.9 nM). 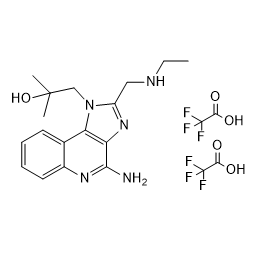 MD2-IN-1 is an inhibitor of Myeloid differentiation protein 2 (MD2) with a KD of 189 μM for the recombinant human MD2 (rhMD2). Isatoribine, an agonist of TLR7, reduces plasma virus concentration in chronic hepatitis C infection. 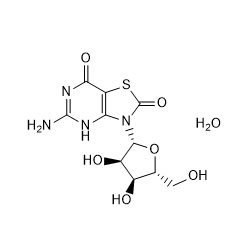 E6446 is a synthetic antagonist of nucleic acid-sensing TLRs. E6446 inhibits Toll-like receptor (TLR)7 and 9 signaling. 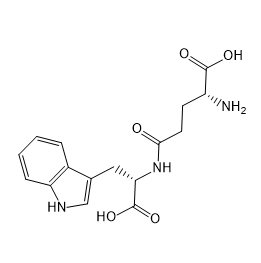 Golotimod is a novel synthetic dipeptide that acts broadly on the Toll-like receptor pathway. It has been shown to stimulate T-lymphocyte differentiation, macrocytic phagocytosis, and specific immune responses, and enhance IL-2 and INF-g production.